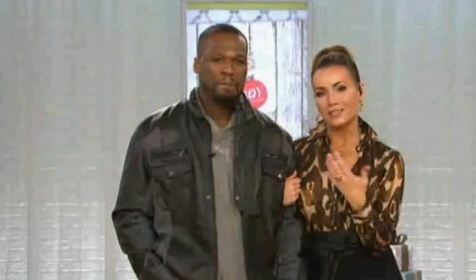 50 Cent made a return to television home shopping network QVC to promote and sell his SMS Audio headphones, just in time for the holiday season. After charming the ladies, he helped sell some pairs of headphones and after the end of day, walked out with good amount of money. Watch a couple of videos after the break. He will be back tonight at about 10 pm for another appearance. UPDATE: Curtis was back tonight for the second day. Watch the videos below. At the 6 minute mark in the third part, he confirms the upcoming release of next single ‘My Life’ featuring Eminem and Adam Levine.